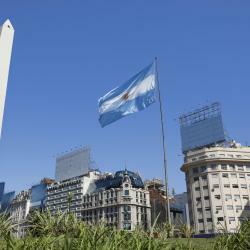 Looking for hotels near Museo Bellas Artes Argentina? The Alvear Palace is a 5-star hotel located in the stylish neighborhood of La Recoleta, surrounded by restaurants, shops and only five minutes away from the financial district. Boasting a rooftop hot tub with panoramic views of the city and river, Urban Suites Recoleta Boutique Hotel offers luxury accommodations with a sauna and gym facilities in Buenos Aires. Located in upscale Recoleta, only 1148 feet from the cemetery, Mio Buenos Aires offers designer rooms with free WiFi access. It features a spa including an indoor pool. 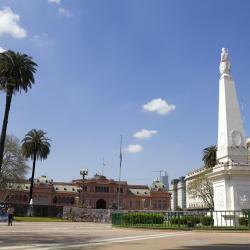 Located in Buenos Aires, just a 19-minute walk from Museo Nacional de Bellas Artes, Apartamento en Recoleta provides accommodations with a garden and free WiFi. Featuring an art gallery, Sileo Hotel offers plush self-catering rooms in upscale Recoleta. Breakfast is provided and there are 2 bars. 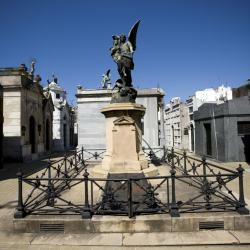 The Recoleta Cemetery is right in front of the property. Located in Buenos Aires, within a 9-minute walk of Recoleta Cemetery, Departamento Posadas offers accommodations with free WiFi and air conditioning. Located in the Retiro district in Buenos Aires, 0.6 mi from Colon Theater, Carles Hotel features a sun terrace and fitness center. Guests can enjoy the on-site bar. Rooms come with a flat-screen TV. The staff did an amazing job taking care of our group making sure we had everything we needed. Spacious luxury suites with marble bathrooms, charming gardens and swanky gourmet restaurants and bars can be enjoyed at The Four Seasons hotel in Buenos Aires. 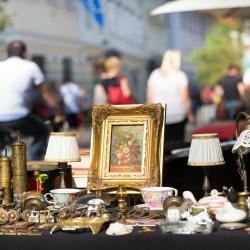 Lovely, spotlessly clean rooms, great very helpful staff, wonderful location. No complaints. Featuring polished marble floors, a modern art gallery and stylish rooms, Sofitel Buenos Aires Recoleta offers impeccable 5-star style and services. Great place, people. Walking distance to a lot of things. Walk to restaurants and shopping. Located in Buenos Aires, within 1.1 mi of Recoleta Cemetery and 0.8 mi of Colon Theater, Palladio Hotel Buenos Aires MGallery by Sofitel provides free WiFi. We loved our stay on this hotel, it was amazing, the property is new, the staff is amazing. 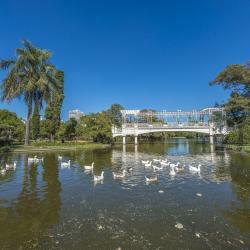 Luxurious interiors, a fitness center and rooms with views of the garden or city are offered in the upscale Recoleta neighborhood in Buenos Aires. Colon Theater is a 5-minute drive. Everything! Not a single negative remark. Place is like a home away from home. Set in the upscale Recoleta neighborhood, Algodon Mansion offers chic rooms with free Wi-Fi and complimentary wine. Guests can relax in the sauna room and enjoy the rooftop swimming pool and sun deck.... Staffs tried everything to make you feel at home. Featuring free WiFi, ARC Recoleta Boutique Hotel & Spa offers accommodations in Buenos Aires, 1312 feet from Recoleta Cemetery. Guests can enjoy the on-site bar. A daily breakfast is served. Everything!! - Nice front desk welcome people, room was clean, nice, very comfortable and efficient. Conveniently located 2 blocks from Aguero Metro Station, Hotel Arenales offers accommodations in Buenos Aires. Beds were comfortable. Room was clean, bath towels smelled fresh. All good! Located in the heart of Buenos Aires, Bulnes Eco Suites offers modern and luxurious studios with free high-speed WiFi access in trendy Palermo neighborhood. I've received a huge, very comfortable & clean room! Comfortable rooms with free WiFi are offered in downtown Buenos Aires only 984 feet from 9 de Julio Avenue and 2953 feet from the Obelisk. The fresh squeezed orange juice, and very quiet room. In a massive building only half a mile from the Obelisk, Bisonte Palace Hotel offers spacious rooms with free Wi-Fi and plasma TVs. There is a bar, and a buffet breakfast is served. I have stayed at this hotel for around 10 years. It is one of my favorite hotels in the world. 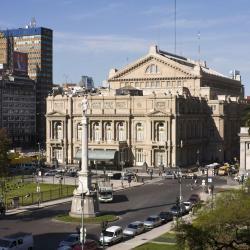 Hotels with great access to Museo Bellas Artes Argentina! In a plush palace in the heart of upscale Recoleta district, Palacio Duhau - Park Hyatt Buenos Aires features a spa and a fitness center, as well as 2 restaurants and a bar. Great location, excellent facilities and extremely helpful and professional staff. Set amid the French villas and palaces of Recoleta, Loi Suites offers luxurious rooms 1.2 mi from Florida and Corrientes Avenue. Afternoon tea is served in the English winter garden. Excellent staff. Attention to all details, beautiful garden. Combining classic architecture with luxurious interiors, Intersur offers a spa and gym facilities in the exclusive Recoleta neighborhood. WiFi access is free. Attentive service, great location, very clean! The CasaSur Recoleta is a charming boutique hotel located in the Recoleta district of Buenos Aires, next to the Alvear Palace, the Recoleta Cemetery and several shops and restaurants. The hotel’s location is ideal and the room was quite large.